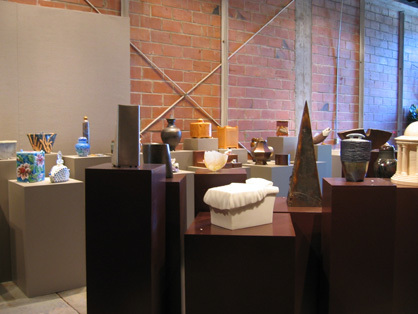 Any doubts that a campaign that FUNERIA has been waging since 2001 to successfully redefine the role of the typically uninspiring cremation urn vanish quickly whenever anyone steps into FUNERIA's Art Honors Life® gallery. 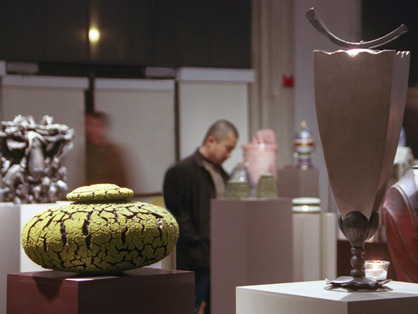 The pioneering arts agency's 5th biennial exhibition of original artist-made funerary urns, vessels and personal memorial artwork is an exceptional presentation. It is one that demonstrates, unequivocally, how artists are developing entirely new metaphors for how the character of a unique life can be reflected in their hands and in all media. 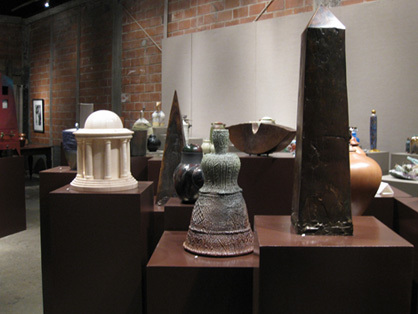 Each piece in the exhibition, which will be available to view online through October 2011, would be appropriate in any museum setting, side-by-side with the best examples of funerary objects from ancient times. 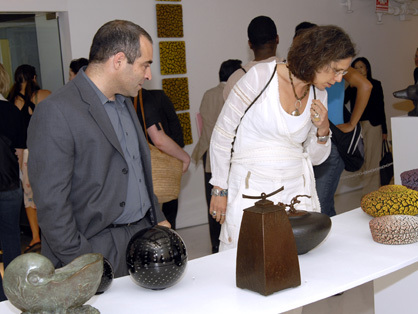 In FUNERIA's gallery, it's not unusual for visitors to wonder where they can leave a donation after seeing a splendid exhibition that, in the absence of dangling price tags, appears to be a museum show. 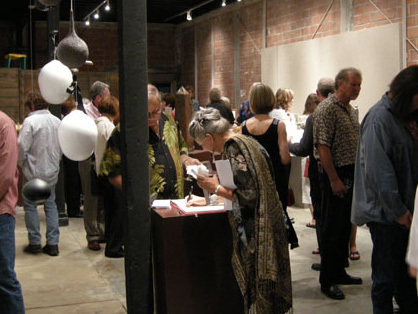 Like any commercial gallery, however, price lists are always available. 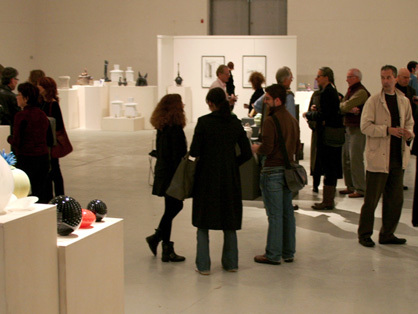 Knowledgeable staff are ready to answer any questions about the pieces being shown and to follow up on inquiries for specially commissioned work inspired by the artists represented. 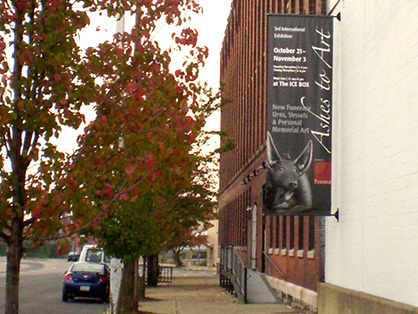 The online exhibition remains open through October 2011 and can be seen here. 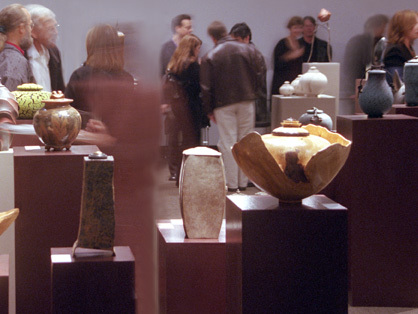 While the quality of work selected for the exhibition is attributable to the artists themselves—to their fastidious attention to detail and courage in creating and then submitting original forms in the broadest range of media for jurying, the jurors were equally challenged to draw from their own unique perspectives and bodies of knowledge to select the best from among those entered by artists worldwide. 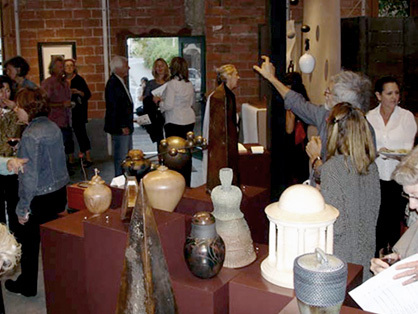 Jurors for the 5th biennial Ashes to Art® exhibition included Ante Marinovic and Candace Barnes. 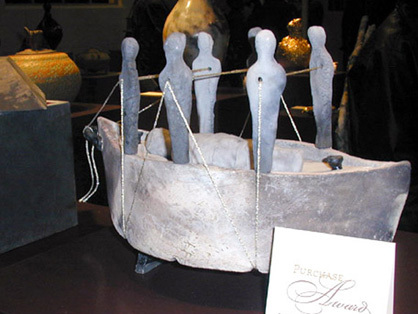 Ante Marinovic is a stone sculptor who divides his time between an island in Croatia and San Diego, CA when he's not installing site-specific monumental commissioned works worldwide, often incorporating glass and metal with carved stone and marble. 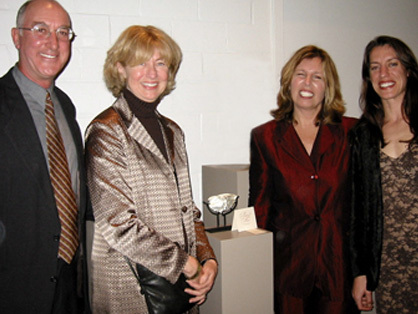 Marinovic is widely respected for his leadership in advancing public sculpture as part of our cultural dialogue. 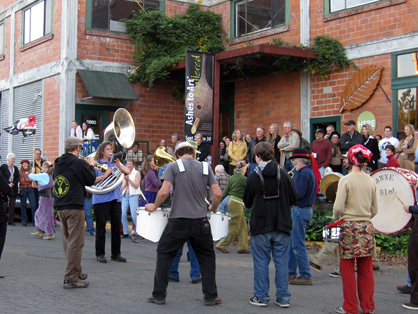 He is also a popular instructor as the distinguished Maestro de la Pietra of summer workshops at Stone Sculptors Supplies retreat above the Russian River in Guerneville. 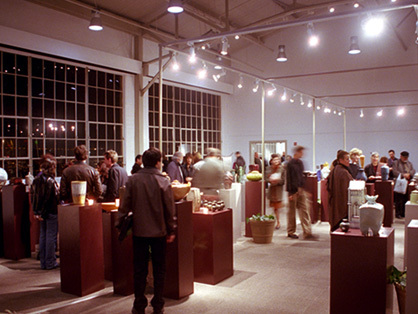 Candace Barnes, artist and owner of Candace Barnes Antiques in San Francisco who, in addition to a stellar career in interior architecture and design, has created both indoor and garden environments for some of the Bay Area's most demanding high-end clients. Barnes work has appeared in numerous design magazines, she was selected for “best room design” honors in San Francisco’s 2009 annual design showhouse, is featured on HGTV’s “Curb Appeal” and was one of the jurors of FUNERIA's first Ashes to Art® competition in 2001. Her most recently architecturally re-designed home was purchased by San Francisco's Mayor and Mrs. Newsom upon its completion. 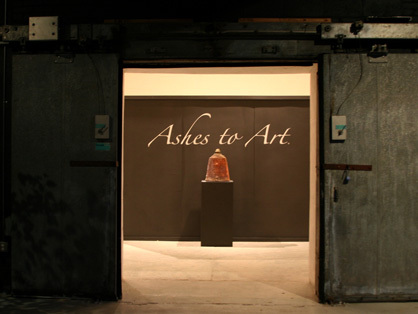 Ashes to Art® competitions and exhibitions have established a special niche in contemporary funerary art since their 2001 debut at San Francisco's historic Fort Mason Center. 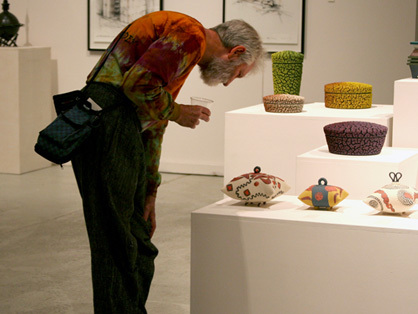 They have opened new opportunities for artists to show and sell their work and they've helped the public broach a difficult subject in the most gentle, often charming, frequently provocative and always meaningful way. 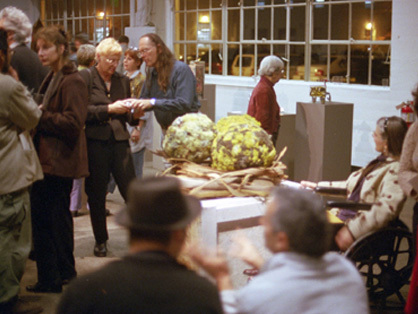 On a stormy night at a historic landmark on San Francisco Bay in 2001, visitors waited patiently for the doors to open to the first international juried exhibition of original, contemporary, artist-made urns, vessels, reliquaries and personal memorial art objects. 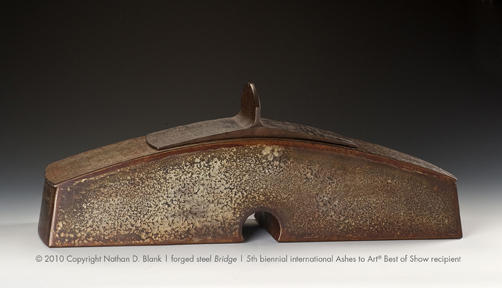 Since that defining moment, Ashes to Art® exhibitions have become much-anticipated opportunities for artists who are eager to explore this genre, and for the public to see and acquire the most beautiful and original funerary artworks being made by artists worldwide today. We hope you will join us! Beautiful show! It is visually exquisite and I learned more about beauty, content and intention. Wonderful balance. Thank you for the gift of this. Oh, lovely, lovely we need these opportunities to contemplate where it is we're going. This is a first class show!! 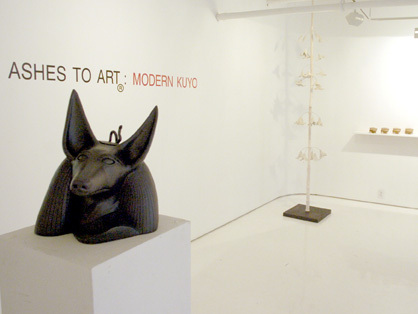 Beautiful work and the set up and curation is as beautifully done as the art (it is art!). The signage is wonderful as well. Thank you so much for your efforts! Most impressive and beautiful work! A wonderful afternoon! Thank you so much. The works are so strong, beautiful and theologically insightful. 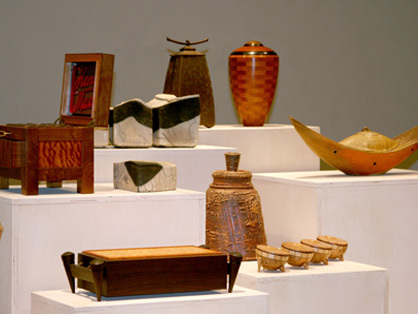 A beautiful collection! Craft and elegance altogether. Thank you. I think the Kenmore vacuum cleaner should get the best of show award. Bill Moyers would be impressed.